I've tried out some new things lately and thought I'd show some of them to you! Biggest one first - the Oster Versa! 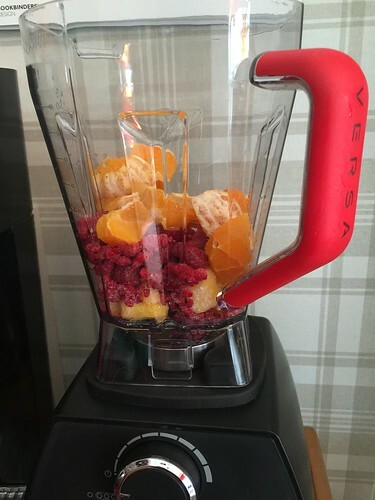 It's a real powerblender, that can make anything from smoothies to soups - it even heats the soups! I've only tried a few fruit blends so far, but I will definitely experiment further. Size-wise, it's huge! Yet it's pretty light, at least compared to my KitchenAid blender - probably because the jug is plastic. Have you tried one? Do let me know any tips and tricks! These two photos are from a press lunch event I went to at Viking Line - the ferry cruise company famous for their leisure cruises to Helsinki and Mariehamn. I rather like them for a quick mini-vacation - they're cheap, there's lots to do, tax-free shopping and surprisingly good food. At the moment, they're having a guest chef - Michael Björnlund who normally runs Smakbyn on Åland. 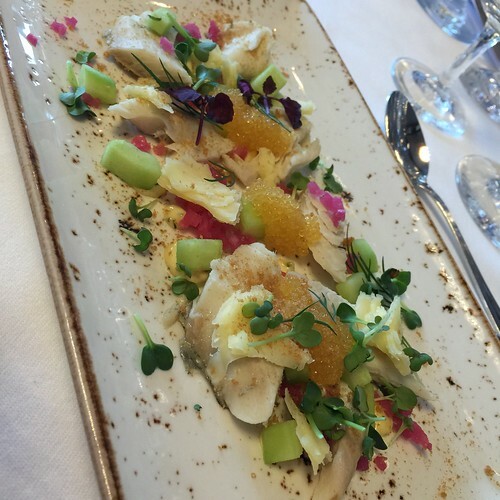 He offers a really tasty three-course menu, and we got to taste all the options. Up top, the starter which is a cold, cooked whitefish with pickled red onions, dill mayonnaise and a lovely Kastelholm cheese from Åland. 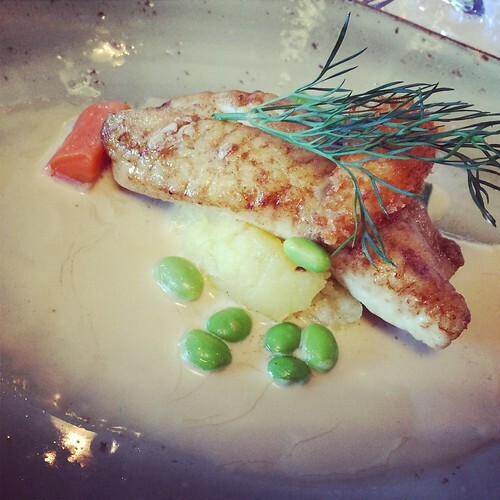 And then a butter-fried pike-perch with a deep-fried crawfish tail and an apple flavored clam sauce. This was just amazing. Not pictured but also really good was a crawfish soup, served as a small amuse bouche. Also an elk dish which wasn't my favorite, and a really tasty crème brûlée. Highly recommended! I got the opportunity to try the Loppi Blogbag, which arrived with various goodies. 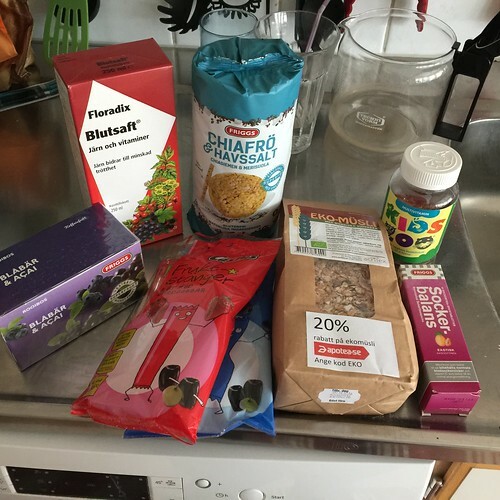 I'm especially fond of the rice cakes from Friggs, and the tea with blueberry and acai is also really tasty. I'm on the fence about the dried fruit sticks for the kids - they're really sweet even though they're all natural. But ok as a treat, I suppose. 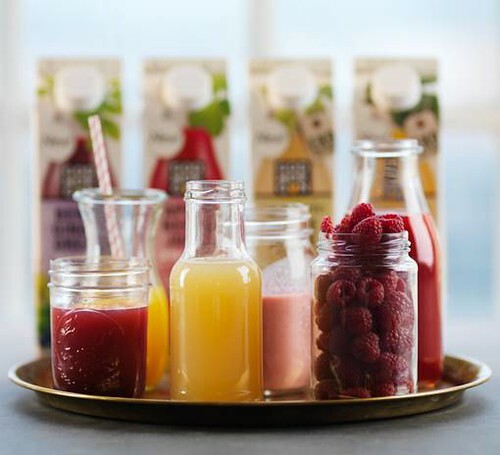 Finally, I got a delivery with fabulous new juices from God Morgon. (sadly they don't look like the lovely photo...) One has apple, raspberries, orange and blackcurrant - tastes mostly like raspberries. The other one was blueberry and ginger, with apple and grape. I liked both but thought the ginger was a bit too prominent. However, Titus loved that one, rather surprisingly. Both are pretty sweet and work really well for juice pops, which I sometimes make for the kids. I really like the idea of the blogbag, seems fun to not know what's going to come! Those juices sure do look yummy! the blog is very good. I just opened my blog. Turkish kebab recipes here. Will you support me?